Classes were held in the Old Ridgedale School at the corner of Peachtree and Bennett Ave starting on Monday, Sept 9, 1907 until Christmas-New Years break, and thence in the new building on Monday Jan 6, 1908. All 9 faculty were present, to my knowledge, during this time. The only public records of Ridgedale classes are the conversations and recollections by students posted in the Digests for 1910-11, particularly noting that some classes were held in hallways and the building was unheated. The new building must have seemed like a palace to students and faculty when it finally opened. 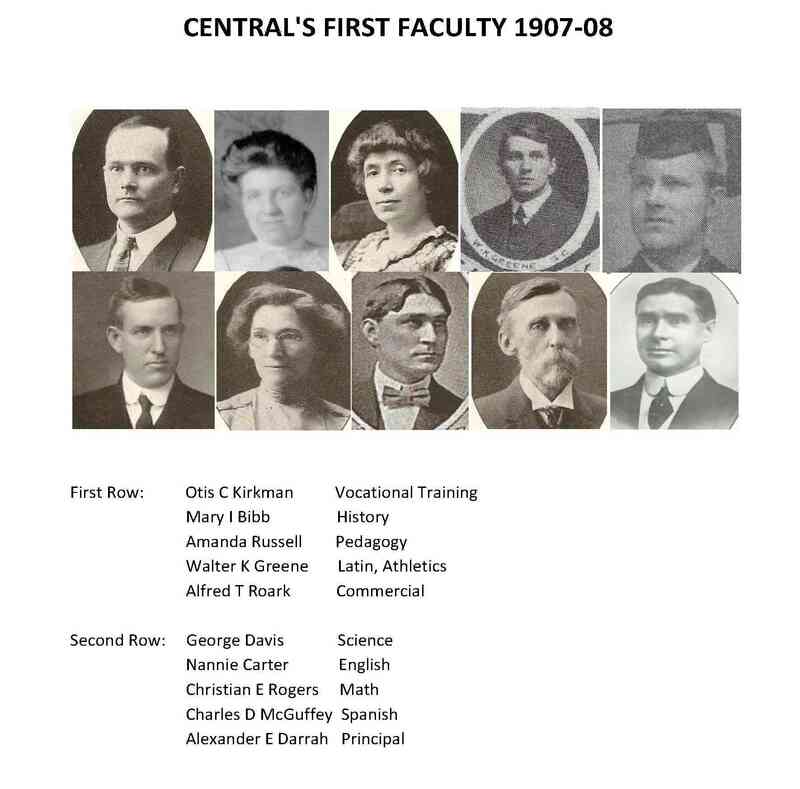 I might add that I found A T Roark’s picture (graduating from UC Law School in 1910) in the Connor-Roark family history book through their website; W K Greene’s pic came from a 1907 photo in the History of BGA book, and Mary Bibb’s was cropped from a 1907 family photo via her grandson, Kirk Johnson, which we scanned just after the August 2 Connection Lunch. The remaining 7 photos are scanned from later Central yearbooks.